Avail the prime services of verified contractors in Bangalore. Find trusted and reliable contractor with a minimum work experience of 2 years. UrbanClap provides the prime service with the use of quality product material that fits in the budget. Check the portfolios of registered contractors by going through the real photos and customer reviews. With a promise of on-time project delivery, get your construction project done with all necessary and required permits. Find your suitable contractor now and hire one! When I was looking for contractor for waterproofing services, I got a quote from various contractors and AK Waterproofing Company were the most reasonable. The work done by them is very satisfactory. The final outcome is good. We haven't had any issues with these people. He did the cupboard and the drors of the kitchen of my house. I hoped to get it done before 3 weeks but got it instead in 18 days only. The budget was of 65 K and he used it really well. All I can say he is a trust able man with creative designs.I would highly recommend him to others. He is a highly responsible and a committed person. He made a dining table and a dressing table at my home. The work was completed in 1.5L and in 15 days.There were 4 workers working all together with the help of 8-9 quality laborers. His plywood designs are amazing. He is a trust able man and I would hire him again for sure. Madhurya is a very close friend. We gave her a new project as well as home improvement. she did a good job. Material achha lagaya tha. Time pe delivery kari. Daily supervise karte they. Mujhe services boht ache lage. Main humesh suggest krta hu sbko aur aage bhi karunga. Rate bhi theek hain.Unka bhut acha kaam hai water proofing me woh best hai city me. Very professional and great work. Their team works with shortest timeline. Reasonable pricing and good quality. Sadiq came to my house for the work of carpentry along with polishing and the painting ofa few cupboards, the work was finished in 4 days, the cost was around 33k which suited me really well. i am really happy with his work, i keep calling him from time to time for other similar chores as well. He did the Semi Commercial project located in Vijay Nagar with the help of 20 labourers. He completed the project within 8 to 9 months in the budget of 60 Lakhs. He is very creative in his approach and designs. I think he is someone who is extremely punctual and obedient. I would recommend him for sure. He did my full house work located in C V Raman Nagar with the help of 15 labourers. He completed the project within 90 days in the budget of 28 Lakhs. He is very creative in his approach and designs. I think he is someone who is extremely punctual and obedient. I would recommend him for sure. Imtiyaz Khan had done the renovation in my office and house. He had done a great job, and we liked his work a lot. his behaviour was always positive and cool towards his work. He is professional in his work. I hired them with the material. The material he used was good of quality. They had shown me 3d models for designs and ideas. They have completed their work on committed time. They have given a modern look to the house. The quotation he provides me was reasonable, and I am satisfied with their work. My experience with him has been excellent. I hired him for the renovation of my office. He has a friendly behaviour with apt skills for interior designing. Hussain came up with creative and innovative ideas keeping my needs in mind. The work done was in accordance with the office design as per my choice. The project was completed on time without any delay. Prices charged by him were actually quite affordable and lesser than the market rates. A few years back I hired him to do the double glazing work and ACP work in our Hospital in Maruthi road, which is around 4000 sqft.He has taken necessary steps with 15-20 people within the promised date.I am very much satisfied with his work and the quality.I will definitely hire him in future and I will also recommend him to others as well. A few months back, I hired him to do the ACP and Glasswork for my office in Bangalore elhanka which is a (4800 sqft) commercial He is very professional and he has done the work with around 10-15 labors.The output was extremely good and impressive.I will definitely recommend him to all. Good Quality work. But took time to finish. You can directly speak to the contractor about your budget and the scope of work. The website will connect you to contractors and hence, you can choose what the best is for you. Contractors usually inspect the site and thus determine the cost. Some of them might also charge a minimal inspection fee. The contractors will source the best quality materials that would fit your budget. They will also keep reporting about the material required, to the customer as and when the time comes. Some contractors let you source your own material and just provide you with the execution service. You can do a whole background check on the contractor based in New Delhi. The site will redirect you to his/her page where you can track down their previous work, experience. You can also track down their offices and look out for their previous work samples. The projects are divided into different scales according to the completion time. The time for completion varies a lot, depending on whether it’s a construction or renovation. They could range anywhere from 10-15 days to 9-10 months. The time is generally figured out after inspecting the site once. Bangalore is one of the fastest growing metropolises in India. As the Silicon Valley of India, the city attracts hoards of people from the IT sector. No wonder then that the development of the city has been rapid and a lot of towns have been built close to the city to make up for the growing need for residential properties. This has, of course, been good news for construction contractors and housing construction companies in Bangalore. This is because these are the people who manage your project by handling every single job related to it--from aligning labour and vendors to the plans created by the architect and interior designer, to ensuring there are no lapses or delays. 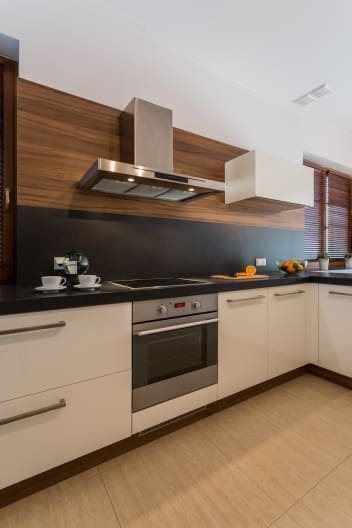 While some of these are general contractors who take over turnkey projects and handle all kinds of work, many specialise in specific work like Woodwork, False ceiling, Waterproofing, Painting, Plumbing, Civil Work etc. So, what are you waiting for? Hire a contractor in Bangalore from UrbanClap and let him or her execute the plan for the building of your dreams for you. What Will a Contractor Work On? Will implement a plan The moment you hire a house contractor, the first thing he or she will do is to go over the initial details of the project, including stipulated starting time, expected completion time, budget, your vision for the project, etc. If there is any missing piece at the beginning stages of your project, your contractor will inform you about it. Will oversee the project A construction contractor in Bangalore is like a day-to-day manager who oversees the daily functioning of the project, supervise the work of his subcontractors, listen to any query and solve it immediately, coordinate delivery of materials, etc. Will hire subcontractors Most contractors have contacts with subcontractors and workers required to start the project. If you do not have enough time on your hand, you can let the civil contractor in Bangalore take over and hire subcontractors on his own. If you want to be directly involved, then you can take recommendations given by building contractors in Bangalore and then meet the subcontractors to hire suitable candidates. 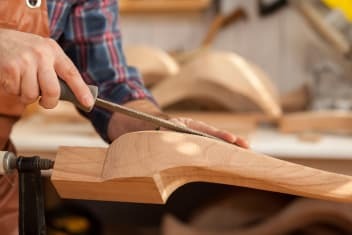 Will source materials As someone not in the home construction business, you may have little knowledge of construction materials, market rates as well as suppliers in your city. Housing construction companies and home renovation contractors in Bangalore have connections with various suppliers and know what works best in residential properties. Therefore, it is best if you let your building contractor in Bangalore finalise suppliers and source materials. Will take care of legal guidelines and fill paperwork There are various guidelines for construction and house renovation set by regional and local authorities in Bangalore. General contractors need to know these and ensure that they adhere to them. They also complete the necessary paperwork on your behalf. 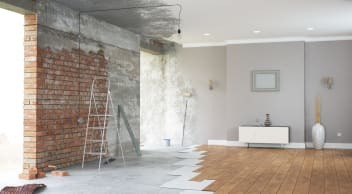 Will complete the project on time and within budget Plenty of things can go wrong during your construction or house renovation project and your contractor handles them to ensure that the project still progresses on schedule. He also tries to resolve any conflicts that may arise during the project. They also strive to finish the project within the budget set by the client. Yes, if you don’t have the time If you have no time to spare out of daily routine for exploring markets, overseeing work done by the electricians, plumbers, builders, etc., or to run from one authority to the other, hiring a construction contractor in Bangalore would be a great idea. Yes, if you have a fixed budget Since you don’t build or renovate buildings on a regular basis, you wouldn’t know what materials cost cheaper, which supplier provides better deals and where all you can avoid unnecessary costs without compromising on safety or quality. Hence, a good residential contractor in Bangalore will be able to save you a lot of money. Yes, if you don’t know what’s in trend The top contractors in Bangalore have worked on multiple projects and have enough experience to help you with ideas, suggestions and inputs. They are also open to your feedback and ideas, and help transform your ideas into reality. Yes, if you don’t know any suppliers Contractors know just the right people for any kind of work, to source materials from, etc. since they’ve been in the business for a long time. As clients, we rarely have this kind of networking skill. Yes, if you want one point of accountability Since a contractor in Bangalore is your direct source of contact for the project, and can be held accountable for any lapses or delays, he or she will will ensure a smooth and stress-free experience for you. Yes, if you want solutions The best contractors in Bangalore have a solution to every problem related to your renovation or construction project as they have been in the industry for a long time. Know what you want first Unless you’re clear about your vision — how your house or office should look, what amenities you want, etc — you won’t be able to convey the same to your building contractor in Bangalore. This means that you also won’t be able to determine whether the contractor can deliver the work you want to you. Speak to different contractors When you speak to more than 2 contractors for house renovation and construction in Bangalore, you get a clearer picture about the quality of work each contractor will provide, what the approximate costs in the market are, the scope of work included in each particular budget, etc. You can then take your pick accordingly. Ensure a clean background Even if a relative or close friend recommends a house builder in Bangalore or a construction company in Bangalore, ensure that you’ve verified the credentials yourself. Even if he or she doesn’t have a license, make sure that the track record is clean and there have been no complaints before. Ask for No-Objection Certificates, permits and other legal documents. Check the quality of work Construction quality speaks volumes about the capability of your shortlisted civil contractors in Bangalore. So, do visit a couple of their previous projects and go through their portfolio to assess the quality of their work. 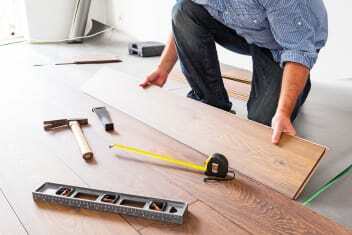 Track the style of work Paying attention to tiny yet important details before you hire your home contractor or commercial contractor in Bangalore will give you an idea of how you both would work in the future. Does your shortlisted building contractor adhere to appointment timings? Are your phone calls returned in a timely manner? Does he listen intently when you talk about your vision? Does your residential contractor in Bangalore resolve issues in quick and timely fashion? Ask as many questions as you want Clarifying all your doubts before signing on the dotted line ensures that both you and your contractor in Bangalore are on the same page from the beginning of the project. Sign a detailed contract The contract should be as detailed as possible. It should cover everything from costs, materials being used, brands of items being installed, start and finish dates, number of people working on the project, timings, drawings being used as references, etc. When everything is detailed in the contract upfront, there will be no surprises later. Experienced professionals Not only do our contractors in Bangalore have a minimum experience of 2 years, they have also successfully completed at least 20 quality projects across residential and commercial spaces. Verified backgrounds Our quality screening process ensures that every contractor on our platform has been vetted for credibility, and his or her national identity, address and criminal background has been verified by the top verification agencies in India. Affordable rates Not only will only those contractors in Bangalore contact you who can work within your budget, but you can actually compare the fees of contractors and then pick the one that suits you best. Varied services From wall panelling and waterproofing to electrical work, construction of a false ceiling and even complete interior execution, our contractors in Bangalore provide a range of services. Cooperative and adaptable contractors Keeping your convenience in mind, contractors in Bangalore who are affiliated to UrbanClap, work according to your schedules and ensure a smooth experience with as few inconveniences as possible. What Services Does UrbanClap Provide? Which Other Cities Have Top Contractors?